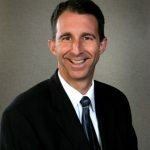 John Funiciello began his real estate career in 1986 after graduating from the State University of New York at Cortland with a Degree in Economics and a Concentration in Business. 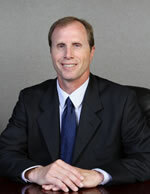 In 1992, six years after working with others in the commercial real estate industry, John started JF Real Estate. John’s goal was to build a firm based on a great reputation and impeccable integrity. JF Real Estate now exclusively represents approximately three million square feet of commercial real estate in the Central New York Region. 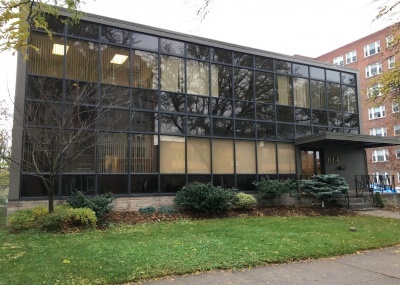 In addition, JF Real Estate has represented hundreds of local, regional, and national tenants selecting locations for their businesses in Syracuse, New York as well as across the country. John oversees the day to day operation of JF Real Estate and personally represents approximately one million square feet of office space in Central New York. John serves on the Board of Directors at Pathfinder Bank. He is an active member of the community, serving on the board of directors at the North West Family YMCA along with previous involvement as a member of the Board of Directors at The Samaritan Center and The Children’s Consortium. John resides in Baldwinsville with his wife and four children. Edward L. Rogers graduated from Fulton High School and from Miami University in Oxford, Ohio in 1980 with a B.S. Degree in Business Administration, majoring in both Marketing and Operation & Production Management. Mr. Rogers’ career in commercial real estate began in 1987 when he became licensed in New York State as a real estate salesperson. 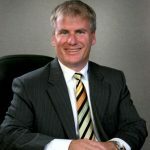 From 1987 through 1995 he worked for Greenwood Commercial-Investment Realtors in Syracuse, New York specializing in commercial and industrial land sales, office and industrial leasing. In 1995, Mr. Rogers joined JF Real Estate, Inc. as a sales and leasing agent. During his tenure, Mr. Rogers has been a consistent top producer and has developed broker/client relationships on a local level as well as nationally. Additionally, Mr. Rogers, representing JF Real Estate, in 1996 was selected by Communication Services For The Deaf (CSD), a national non-profit organization in Sioux Falls, South Dakota, as an exclusive broker representative. His duties involve site evaluation and site selection of call center space in various cities across the United States. These centers serve the hearing impaired for the purpose of communication via phone or video. To date Mr. Rogers has completed deals in more than 25 U.S. states. 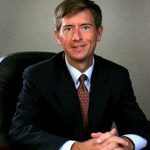 In January of 2006, Mr. Rogers was retained by Oliva Real Estate Company as a leasing agent for their 800,000 square foot office, flex, warehouse and retail space which is owned and managed by Oliva Development Company and also for the purpose of finding new development opportunities for Oliva Companies. 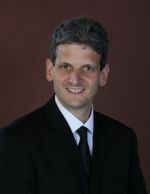 Martin has been with JF Real Estate since 1997. He exclusively leases over 500,000 sq. ft. of commercial space including downtown office buildings, suburban retail plazas, and other commercial properties. Since, 1998, he has leased/sold over $125,000,000.00 in commercial real estate. Major clients include: Walmart, Aspen Dental, Kinney Drugs, Hanger Orthopedic and Prosthetic, United States General Services Administration (U.S. Attorney’s office, U.S. Citizen & Immigration Services, U.S. Department of Housing and Urban Development, U.S. Department of Veteran Affairs, U.S. Food and Drug Administration, U.S. Department of Agriculture, Internal Revenue Service, U.S. Marine Corp., US-ICE, US-Office of the Comptroller of the Currency, New York State Office of General Services (Office of the Inspector General, Public Service Commission, Justice Center, Gaming Commission, Department of Education, Department of Transportation, New York State Senate, Division of Homes and Community Renewal), St. Joseph’s Hospital, Anytime Fitness, Fair Health, Health e connections, Associates for Women’s Medicine, Onondoga ARC, Onondoga County Bar Association, Assigned Counsel Program, Liberty Resources, United Way, Syracuse Behavioral Health, March of Dimes, Fair-Housing Council of CNY, WCNY Public Television, AT&T, Verizon, Sprint, Dominion Tele-com, Level 3, Cingular Wireless, Global Crossing, Clear Channel Communications, Fiber Technologies, Cogent Communications, Clearwire, Time Warner Telecomm, Ear Q, Bankers Conseco, John Deere, KS&R, Man Power, Adecco, Sensis, California Closets, SUBWAY, Tim Hortons, Central New York Dialysis Center, Clothes Mentor, Fastrac, Total Nutrition, Red Wing Shoes. Previously, Martin was a project manager for the Metropolitan Development Association of Syracuse and Central New York where he was responsible for directing economic development projects. He also acted as the director of the NYS Urban Council, Inc. a state-wide organization that promotes the redevelopment of downtown areas in cities and villages throughout New York State. Prior to that, Martin worked for the City of New York as a Senior project Manager for the Division of Real Property. Martin is a native New Yorker and current resident of the City of Syracuse. Martin holds a Bachelor’s Degree in Urban Studies from Hobart College and a Master’s Degree in Urban Planning from Columbia University. Len joined JF Real Estate, Inc. in 2006 after seven years with The Widewaters Group. He started his real estate career as an exclusive office leasing agent, before being promoted to Director of Office Leasing for Widewaters, where he was responsible for leasing and managing a “Class A” Office Portfolio of over 600,000 square feet. During that time Len completed transactions totaling over 500,000 square feet of space, working with companies such as Salomon Smith Barney, Allstate Insurance, Metropolitan Life Insurance, Verizon, American Express, Corvel Corp., AXA Financial, Northwestern Mutual Financial Network, Wachovia Securities, J.P. Morgan Chase, Janney Montgomery Scott, Pitney Bowes and many other Central New York professional firms and companies. Born and raised in Central New York, Len is a graduate of Syracuse University with a B.S. in Business/Communications. Len is active in the community as a Board Member and Coach of the Fayetteville-Manlius Little League. Len resides in Manlius with his wife and four children. Ryan joined the team in 2011 with a dual position as a Leasing/Sales Agent for JF Real Estate and as a Property Manager for Partnership Properties, Inc., the largest commercial property management company in Central New York (CNY Business Journal 2011). Partnership Properties, Inc. manages many of the buildings exclusively represented by JF Real Estate. This dual role with both companies provides a unique operational outlook for commercial leasing and sales. This allows Ryan to offer end to end services for his clients from leasing/sales to property management via one contact point. 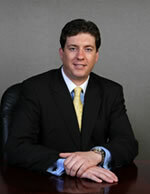 Ryan has a wide range of experience in commercial leasing/sales, development, and construction. He comes from a family background in the real estate/construction industries. Previously he had worked for Pemco Group, Inc. for over 5 years managing a real estate portfolio of approx. one million square feet of retail, office, and industrial properties. His duties included leasing/sales, construction management, property management, and the management of legal/architectural resources. Ryan has worked with a wide variety of local and national clients including Crouse Radiology Associates, SUNY Upstate Medical Univ., Crouse Hospital, Veteran’s Administration Hospital, SRA International, Verizon Business, Verizon Wireless, Aspen Dental, Crowley Foods, Evans Analytical Group, Loretto Independent Living Services, Keller Williams, US Air Force, PACE CNY Care for the Elderly, among many other well respected companies. Ryan is a lifetime resident of the Central New York region and a 2001 graduate of Fayetteville-Manlius High School. He graduated from Babson College in Wellesley, MA in 2005 majoring in Business Management with focuses on finance, accounting, and entrepreneurship. His personal interests include skiing, golfing, sailing, and spending time with his close family. Ryan is very interested and personally invested in bettering the community. He is on the Steering Committee of 40 Below, the leading young professional’s organization in the area. 40 Below focuses on retaining and attracting young talented professionals to Syracuse, providing a young networking base, and most importantly bettering the community through various committees and task forces. Ryan is on the Board of Directors of Adapt CNY, Inc., whose mission is to encourage and create a vibrant Downtown through the redevelopment of vacant properties. He is also the Treasurer of the Center Armory Homeowners Association. Ryan has been a resident of Armory Square in Downtown Syracuse since 2007. Paul joined JF Real Estate in 2010 after nearly 20 years as a sole proprietor in the construction industry. During his time at JF Real Estate, Paul has been able to draw on his construction knowledge while assisting clients and customers with the leasing, purchasing, and sales of their commercial properties. Paul has also assisted the in-house project management arm of JF Real Estate from time to time with regard to redevelopment of office space to meet the needs of clients. In addition to commercial leasing and sales, Paul also is in charge of the day to day leasing for 175 downtown luxury apartments. Paul is a lifetime resident of the Syracuse area. He is a 1987 graduate of Fayetteville Manlius High School, and holds an Associates Degree in Engineering Science from Morrisville College as well as a Bachelors Degree in Mechanical Engineering from the State University of New York at Buffalo. Matt Funiciello graduated from Siena College in Albany, NY in 2015 with a degree in Business Management. 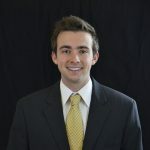 Matt has joined his father, John, at JF Real Estate as a real estate salesperson after becoming licensed in New York State and receiving a Masters in Professional Studies in Real Estate from Georgetown University in 2018. Matt also has a dual position as a Property Manager for Partnership Properties, the managing company for many of the buildings exclusively represented by JF Real Estate. Previously, Matt worked for two years in retail management as a manager of a Target store in Latham, NY. Matt is very interested and personally invested in bettering the community. He is an active member of Syracuse’s Adapt CNY Committee, a volunteer organization that strives to make Central Upstate NY a more vibrant place to live, work, learn, and play. Denise graduated from Bryant & Stratton Business Institute with an Associate Degree in Accounting/Business Management. She was hired by a large hose distributon company where she worked for 17 years starting in the Accounts Payable Department. Denise was promoted to Assistant Office Manager and finally to Administrative Assistant in the Real in the Real Estate Division of the company. 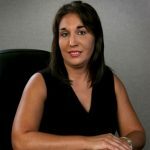 In 2001, Denise joined JF Real Estate as Administrative Assistant handling the daily functions of the business office for John. In addition, Denise is the Property Administrator/Bookkeeper for three JF Real Estate owned properties that currently provide office and residential space in Syracuse, NY. She is responsible for collecting rents, paying bills, and preparing monthly financial reports for those properties. Denise currently resides in Liverpool, NY with her husband and two children. Rachael has been with JF Real Estate since 2006. Rachael handles the switchboard as well as all sign calls and coordinates all sign installations. Rachael provides secretarial support to the real estate agents and assists Denise Chase, Executive Assistant.